Eyeglasses have come a long way from their early beginnings. Today, eyeglasses are more indestructible, offer better vision correction, and look more stylish than ever. If you wear regular glasses, we recommend prescription sunglasses as well. Eyeglasses help you maintain clear vision, so you may avoid putting on eye protection when you are outdoors. However, prescription sunglasses offer many benefits; they allow you to safely venture outside without worrying about your optical health. 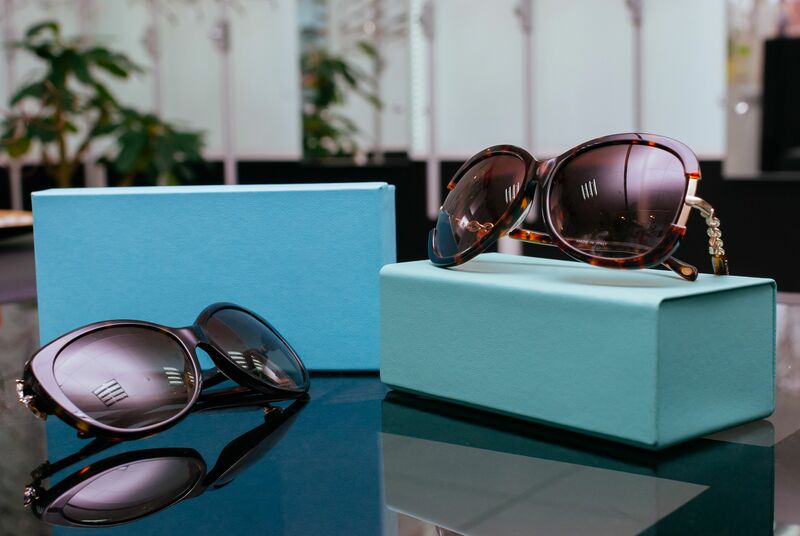 To learn more about the prescription sunglasses options available at Dr. William Goldstein’s practice, contact our Detroit, MI practice today. Many patients realize the dangers that UV light can pose for their skin. However, UV light is also dangerous for the eyes. Prolonged exposure to UV light has been linked to higher rates of vision damage, macular degeneration, cataracts, and even brief vision loss through a condition called photokeratitis. Similar to UV rays’ risks for skin, optical damage from UV light can occur at any point in the year, not just during the warm summertime months. When outdoors, your eyes naturally take in UV rays from just about every sunlit surface. Research shows that water reflects up to 100 percent of UV rays, and snow reflects about 85 percent; no matter the weather conditions, UV rays can still cause damage to your vision. We offer a solution to protect the health and wellbeing of your vision: prescription sunglasses. Prescription sunglasses are simply prescription eyeglasses with special lenses that block harmful UV light rays and offer tinting and polarization to improve vision ability in sunlit conditions. Polarized lenses are able to block scattered waves of light that produce “glare” in bright conditions, thus making it easier for your eyes to see objects even if in direct sunlight. We can fit you for custom prescription sunglasses at our practice. Prescription sunglasses offer so many benefits, whether you regularly wear eyeglasses or contact lenses. The most important benefit is the protection from powerful UV light rays. By shielding your eyes from the vast majority of UV light outdoors, you take an important step in preventing future vision or eye health issues that can occur from prolonged UV exposure. In addition, prescription sunglasses offer clearer vision for people in bright, outdoor conditions. Many patients who wear eyeglasses just squint when outdoors; not only does fail to protect your vision, it can also cause deeper eye wrinkles. With prescription sunglasses, various tinting levels of the lenses, combined with polarization, reduce glare and prevent squinting for increased visual comfort. Prescription sunglasses include the added benefit of eye protection while outdoors. Protective lenses block your eyes from wind-blown particles or other potential hazards. This can save you from a serious eye emergency or from irritated eyes. If you wear eyeglasses or contact lenses and want the convenience of prescription-strength vision correction combined with powerful UV light protection, contact our practice at (586) 323-2020.